As Los Angeles County continues efforts to move its juvenile justice system in a direction that emphasizes diversion over incarceration, supervisors hope to leverage arts programming as part of a broader set of reforms. Arts-oriented programming has long played a role in the nation’s largest juvenile justice systems, but L.A. County leaders hope a grant from one of the nation’s leading funders will expand these services. A one-year, $750,000 grant from the Ford Foundation’s Art for Justice Fund will help launch the Arts and Youth Development Project, intended to serve youth and families at risk of involvement or already involved with the juvenile justice system, according to a December 2018 report by the Chronicle of Social Change. A motion adopted by the L.A. County Board of Supervisors directs multiple county agencies to collaborate with the Los Angeles Arts Commission to assess the availability of arts programming for justice system-involved youth and develop a plan for increasing access. The Ford Foundation launched the Art For Justice Fund in 2017 with the help of philanthropist and art collector Agnes Gund. Proceeds from the sale of art in Gund’s personal collection started the fund. Ford partners with Rockefeller Philanthropy Advisors to manage the fund’s grantmaking activities. When this effort first emerged, we weren’t entirely clear how it would play out or why funding for arts-related work should be prioritized in a push for criminal justice reform. But as the fund has made millions of dollars in grants in a relatively short period—over $40 million so far—its strategy has become a lot clearer, along with the important role that the arts can play in reducing mass incarceration. In the case of the L.A. grant, extensive research has documented the positive impact of arts programming on youth development. The U.S. Department of Justice’s Office of Juvenile Justice and Delinquency Prevention (OJJDP) cites research demonstrating that the arts can help at-risk youth address emotional problems and delinquent behaviors through skill development and creative expression of ideas. OJJDP cautions, however, that arts-based programming takes a variety of forms and addresses a range of needs. Like other interventions, the arts cannot be a one-size-fits-all approach. Group-oriented activities such as theatre foster values of teamwork and empathy, while individual activities such as writing, painting, and sculpture develop reflection, self-expression and mood control. The Arts and Youth Development Project will focus programming not only on youth already incarcerated in Los Angeles youth facilities, but also as part of diversion services. Expanding access in historically marginalized communities is another major element of the new project. “We know that every one of these young men and women have suffered trauma, and we also know that the arts are a potent tool for helping them express that experience and learn to move beyond it,” said County Supervisor Sheila Kuehl, a co-author of the December motion. 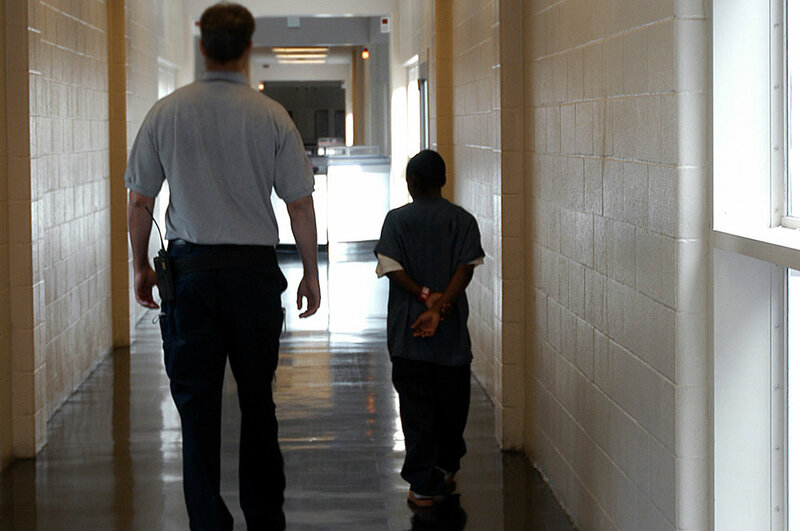 A push to emphasize rehabilitative efforts over punitive ones is not new in juvenile justice. Missouri’s rehabilitative model has been cited by the Annie E. Casey Foundation, a longtime leading funder in this space, as a model for the nation. What sets the Los Angeles effort apart, however, is this emphasis on the arts. Further, this push to increase access to the arts for at-risk and justice system-involved youth aligns with statewide policy measures to emphasize rehabilitation over incarceration. Past measures from California lawmakers have limited when minors under the age of 12 go to juvenile court and barred referring cases involving youth under 16 to adult courts. And more changes may be on the horizon. Newly elected Gov. Gavin Newsom, unveiling his first budget to state lawmakers, has vowed to “end the juvenile justice system as we know it.” Newsom’s proposal would further cement the state Division of Juvenile Justice’s rehabilitative mission by moving it out from under the state’s Department of Corrections and Rehabilitation to the California Health and Human Services Agency. As we’ve reported, a number of leading local funders in Los Angeles are involved in efforts to reform the juvenile justice system, work that may well now have more momentum. Public Safety, Private Donor: What Should We Make of This Big Grant to Fight Crime?